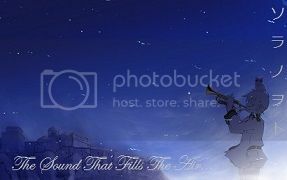 Would it flow better to shift the "the" (I'm vaguely aware of how the indefinite article doesnt really work in Chinese as it does english" to the front so it would be "In accordance to the previously mentioned terms, the internationally appointed Earth Kingdom's interim President Kuvira of the Metal Clan... "
Also doing some digging, I think "Provisional" may fit better, due the political connotations. So I dug some old ROC documents and they use the same word for "Provisional" as this contract does "Linshi," I believe? You are the expert here." Regarding the contract, about the dissolution of the State of Yi. will provide protection and jurisdiction. 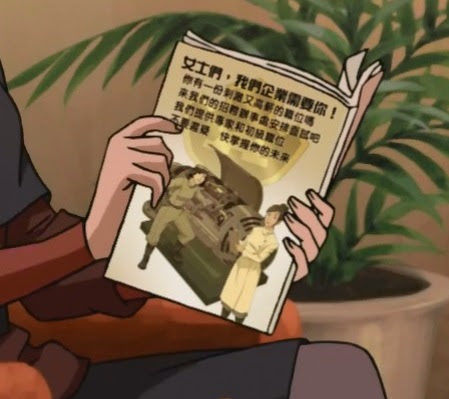 The paper in the Kuvira supporter's hand. Both banners say 小永固 which means Little Ba Sing Se. 快乐 means happy. 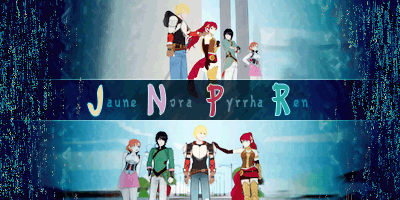 I find it really funny how the first two characters on the banner are smudged to the point of being illegible. 红烧肉 means braised pork and this dish does exist in real life. First two characters are smudged. Third character doesn't exist in the Chinese language. Last character 口 means mouth. Edit: It appears the post box ate my words. Post edited to complete this translation. It looks like either 匝北国 or 市北国. I'm directly translating here but former sounds like Circular Northern City. Latter would be Northern City. Northern Sheep. I kid you not. The first word looks suspiciously like sheep. Maybe it was a Sheep Farm? What was that sign on? 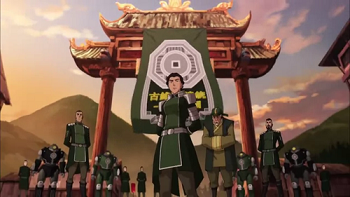 Long Live Kuvira. If you wanna be very literal about this phrase, it also means "May Kuvira live for 10,000 years". In ancient China, this phrase is always said to the Emperor. 皇帝万岁万岁万万岁 ("huang di wan sui wan sui wan wan sui"). Long Live the Emperor and may he live a long life for at least 10,000 years. For the Empress and the Empress Dowager (the Emperor's mother), the phrase is said with 千岁 ("qian sui") instead which means 1,000 years. So that's what they're saying in my mother's Chinese dramas. I hear it all the time, but I don't speak Mandarin, just Cantonese. Yeah, any time there's a Chinese period drama that takes place in The Forbidden City, you are always guaranteed that they will say those phrases to the Emperor and his wife + mother. I love little details like this. Thanks for the background info! My translation for this ep has reached 2000 notes in tumblr. I am speechless. You shouldn't be, it is only to be expected of our great Icy, moderator, TARDIS user, and ASN Management member. Long may you have fame and may you have great fame of at least 10,000 tumblr notes. Wow, congrats for you Icy, may Icy_Ashford lives for 10,000 years and reaches 10,000 notes in tumblr! I don't wish to live 10,000 years but 10,000 notes seems pretty much doable. All hail the great translator! Ladies, our industry needs you! Would you like an exciting and high paying job? Come down to our recruitment office and arrange for an interview. We have openings for specialists and junior positions. Don't hesitate. The future is in your hands. This shop sign is too far in the background and blurry to make out the words. We now have Hanzi for Varrick's name! Score! Water Tribe names are always trouble to figure out. 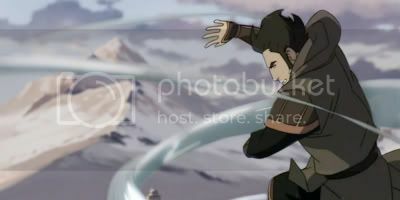 I'm still hoping we get something for Noatak, Tarrlok and Unalaq. Very nice. I was not aware the "10,000 years" phrase originated in China. I'm more familiar with its Japanese counterpart. Going back to 406 for a second, is there a reason why the Dowager and the empress only get 1,000 years? I guess it's assumed the Dowager is already older, but the empress only gets 1,000? I'm guessing it's a sign of the emperor's supremacy. On 407, I'd imagine using the Inuit alphabet for the Water Tribe names would be even worse. If someone has a very good resolution of the entire cover of this, I'll be happy to translate everything but this is way too blurry to read anything. ^ Thanks. I updated my original post. Some words are way too clustered to make out what it is so the job ad is still an incomplete translation to me. Edit: Thanks to help from fellow tumblr peeps, I managed to fill in most of the words but all of us still can't figure out two elusive words in the ad. It's been more than 48 hours so I can bump this. The banner in the sparring room. The little entrance sign at the Spirit Wilds of Ba Sing Se. 神靈 means Spirits, it's a recurring word since Book 2. One of the buildings Korra passes by within the Spirit Wilds. These are the same words that I translated in this post. Product. Without the other words in front, I don't know what the merchant is selling. Dragon Bites. After some intense googling, it seems 竜 has the same meaning as the Chinese word for dragon, 龙? I suppose this is a shop sign for a restaurant? The first word means left, the last word means 4th. I can't tell what the middle word is. Disciple Wong's Sound City. Probably something akin to Tower Records in real life? This is a numerical keypad. I think it's 油漆 as the strokes look like the Chinese words for paint. These words are illegible to me. The End. The brush stroke and handwriting is exactly the same as the ATLA finale. I'm slightly disappointed they didn't get Prof Lee to re-write this again to make this really bittersweet. The third character on the first line, which I think is an archaic way of writing 世, is throwing me off most of all. Yes, the third character is indeed 世. Did he do some of the ATLA/TLOK writings of Chinese Words?